Last year I was looking forward to the unwinding of 2011 inventories in California. For the most part this has (thankfully) run its course. 2011 is a vintage California winemakers (and consumers) would rather forget. Also, thankfully, 2012 was a significantly better year. Whether 2012 is simply better by comparison or stands alone as terrific remains to be seen, but suffice it to say that purchasing 2012s from California is about 50% less risky. If only prices weren't rising (and outpacing quality) so much. Good news: Last year I predicted good things from the Rhone Valley - and did that ever pan out to be true. In fact, thanks to a string of great years (2010/11/12) Cotes du Rhone (especially the Villages bottlings) were one source of incredible value almost regardless of the producer. What's more is that there are still plenty of these wines on the shelves out there, most of which are under $15. Boo-yah. Another bastion of good fortune was Bordeaux. Famous for constantly escalating prices of first Growths, the back-to-back vintages of 2009/10 were terrific - but not just for the pedigreed wineries. There is a lot of drinking pleasure (and ageability) in common Bordeaux under $20 from these vintages. And, as with the Cotes du Rhones, there are still some on shelves out there. We can only keep our fingers crossed that the 11s will deliver as much. Along with the Rhone and Bordeaux, Italy emerged as a gem for reasonably priced wines from lesser celebrated corners of the country: Colli Senesi, Marche, Sudtirol, Umbria, and Veneto. Wow, some really classy and memorable Italian wines came to market this year, most of which are under $20. In the not-so-wonderful column is the continuation of a disturbing trend in Spanish wines, particularly Rioja. With very few exceptions and regardless of price points, these wines suffer from oak bludgeoning, making them largely undrinkable. Such a shame. On the plus side, oak coopers in the Midwest of the US are enjoying a bonanza. Regular readers know how I love to use Napa Valley as a punching bag, so it should come as no surprise that Napa continues to live in la-la land. While some winemakers do indeed turn out good product in our most famous domestic wine region, prices remain prohibitively high and completely out of whack with the quality of experience. Elsewhere in California, pricing from regions gaining on Napa's notoriety are also getting braver. Sonoma, Paso Robles, Santa Lucia, and Santa Barbara County are rapidly climbing out of reach for many. On the other hand, some regions like Lodi, Amador County/Sierra Foothills, and Central Coast continue to improve quality while maintaining more modest pricing. Having traveled to Portugal this year, that epiphany happened. Portuguese whites in particular are brilliant, even if we don't see enough of them here (yet). Another sign that Portugal is ready for its moment on the world stage? 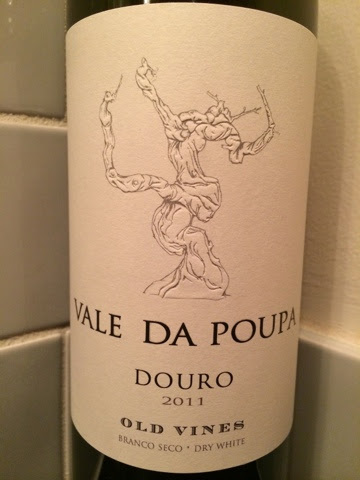 Three of The Wine Spectator's top four wines this year were from the Duoro Valley. If you haven't already begun to experiment with Portuguese wines, you're missing out. DTC (direct to consumer, meaning wineries shipping directly to peoples' homes) sales have enjoyed double digit growth every year for the last four or five years. This will continue to climb as buying behavior (and product availability) changes. Also as in past years, 2015 will continue to see explosive growth in the craft beer market - and at the expense of the premium wine market. Anyone wondering why wine sales are sluggish this year need look no further than the extraordinary quality of beers being produced all over the country. Regardless of what happens in 2015, I hope it is a safe and joyful one for you all.